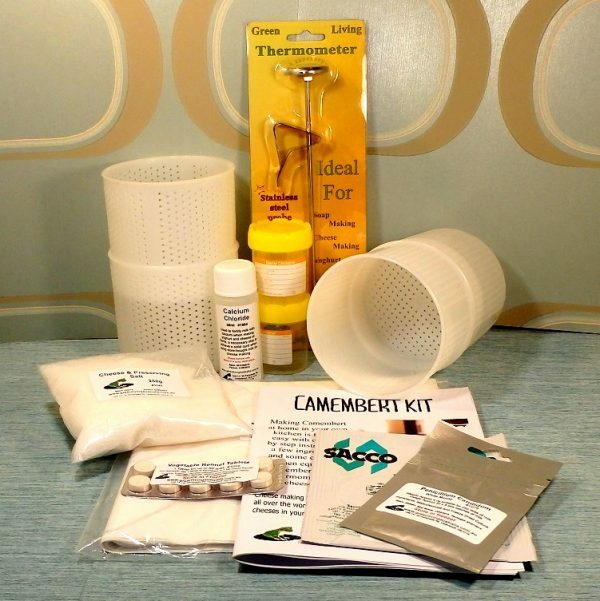 This Camembert Kit makes 25 batches of Camembert Cheese, with each batch producing 4 individual Camembert wheels. 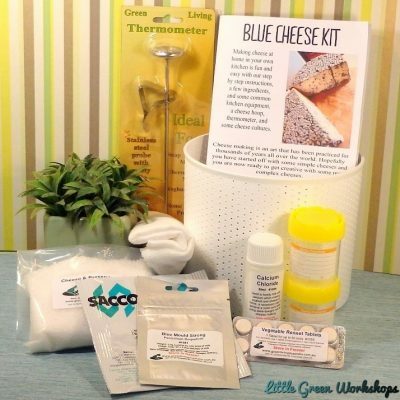 This is an Intermediate Cheese Kit, ideal for those with some cheese making experience. Not in stock? 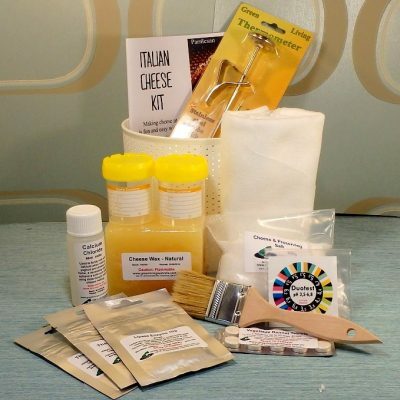 You can make Camembert with our Specialty Cheese Kit! 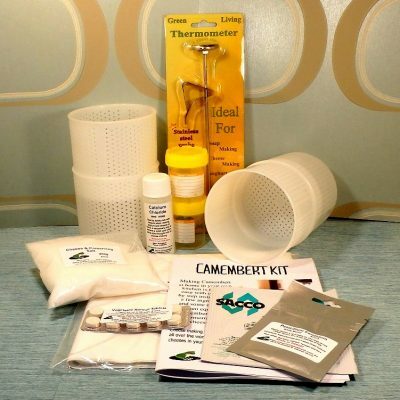 Purchase this product now and earn 61 Little Green Points! 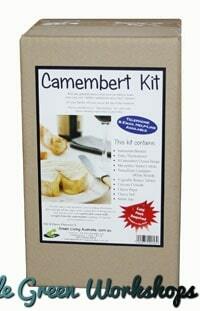 Our Camembert Kit makes 25 batches of Camembert Cheese, with each batch producing 4 individual Camembert Cheeses. 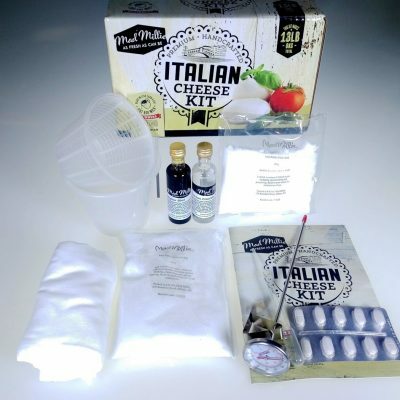 This is an Intermediate Cheese Kit, ideal for those with some cheese making experience. The kit comes with a detailed easy to follow directions demystifying all the steps in the camembert making process. 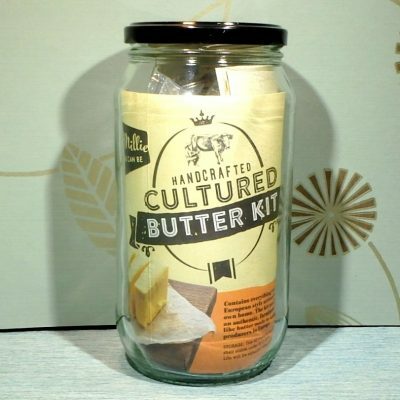 It can be used with regular full cream milk, straight from the supermarket. 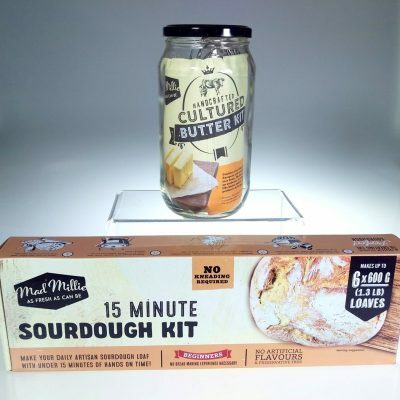 If you would like to see how it is made, check out this Camembert video tutorial that Gavin produced. Thank you Gavin and Kim. 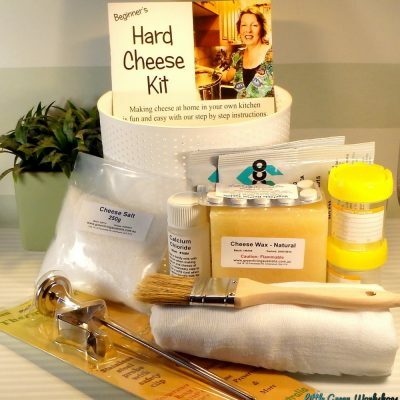 I thoroughly enjoyed the Beginners Cheese Making Course. 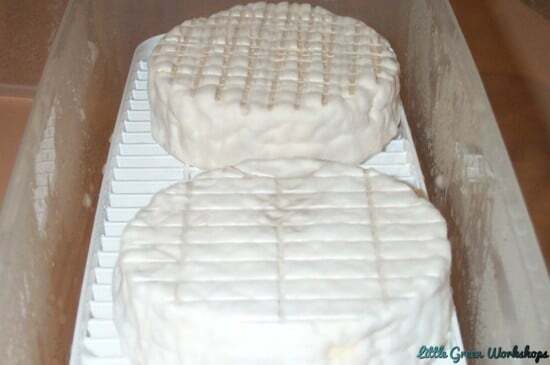 The cheeses we made and took home were wonderful! I am itching to make some more cheese at home now. Very keen to attend an advanced cheese making course in 2017!! 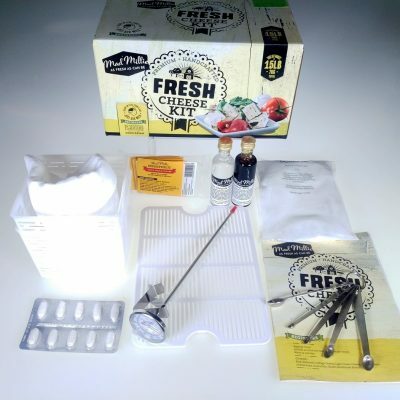 Great little kit with the on line You Tube tutorial made it easy to set up and make my first batch, Just have to wait now its been wrapped for a few weeks and will see how it tastes. Thanks Gavin. 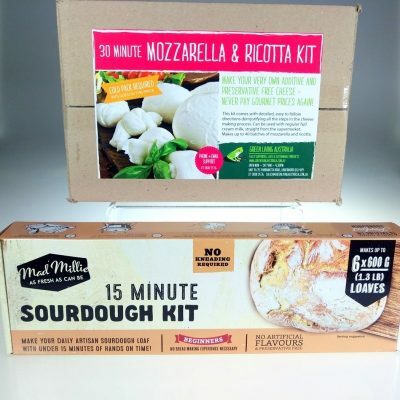 Great little kit, I found myself getting closer to 3 portions per 4L batch but that’s still 75 cheeses for just over $100. Easy to understand instructions for a first time user were very welcome too.